Typically, Varanasi and Sarnath can be enjoyed as a weeklong vacation. 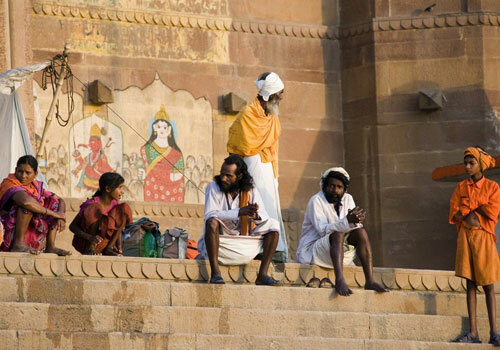 Although seen as an important pilgrim attraction, many tourists visit India for the sake of enjoying Varanasi and Sarnath. This itinerary manages to pick up top and iconic attractions of Varanasi and Sarnath to provide a wholesome tour in just one day.. The tour starts with pick up from your hotel or airport, as per your tour plan. You would be taken on a drive to Sarnath where you would visit Buddha temples, museums, Chaukhandi stupa, Dhamekha stupa and others. 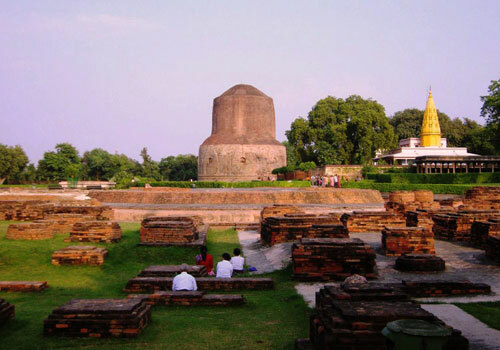 Sarnath is the spot where Lord Buddha made his first sermon after his enlightenment. King Ashoka and many other rulers built numerous buildings and monuments in Sarnath, which are now an important attraction. The museum in Sarnath has many Aartifacts, terracotta objects and other archeological attractions. 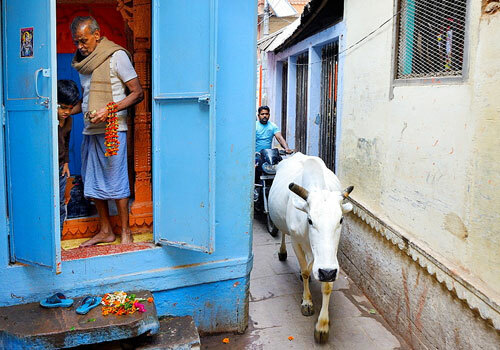 You would return to Varanasi by late morning and visit important temples like Birla temple, Manas Mandir, Kashi Vishwanath temple, Bharat Mata temple, Annapurna temple, Sankat Mochan temple and others. If time permits, you would be visiting Kal Bhairav temple too. Lunch will be serveden-route. 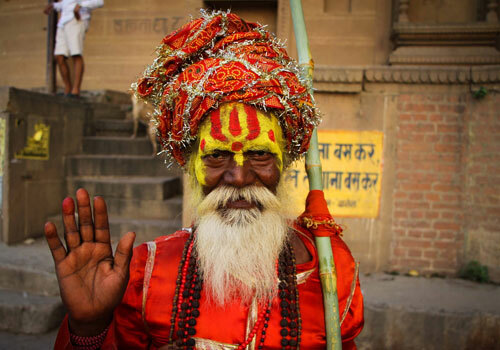 Many temples have rules regarding the dress code, use of camera and others. Please obey to rules to avoid being blocked from entering into the temple. In the evening, you would be taken on a boat ride on the Ganges along Manikarnika Ghat and other famous ghats. Each ghat is famous for a particular activity. As you row along Manikarnika Ghat, you can witness Hindu cremation rituals. You can click pictures of the process if desired from the boat. By sunset, you would reach Dashashwamedh Ghat to witness Ganga Aarti. Ganga Aarti is the iconic tourist and pilgrim attraction of Varanasi. 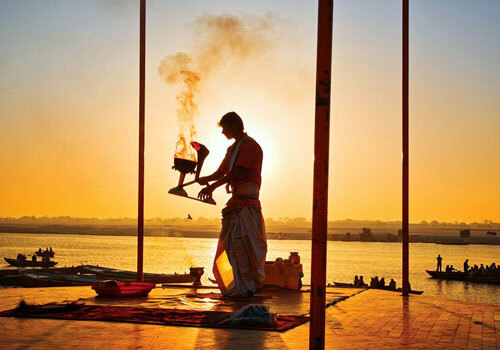 It is a ritual filled activity to please River Ganges and the God of Fire. If desired, you can watch the ritual from the river, on a boat. 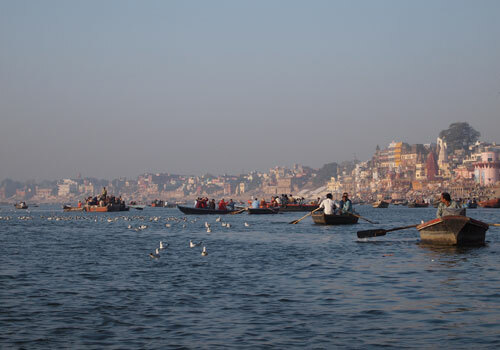 The ghat will be very crowded and people usually choose to view the ritual from the boat. After Aarti, you would be dropped back at your hotel or taken to airport/railway station as per your request.